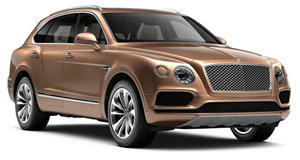 If Bentley can build an SUV, so can Rolls-Royce. What began with the Bentley Bentayga will continue with the Rolls-Royce Cullinan SUV, due to arrive sometime in 2018. However, Rolls-Royce doesn’t want us to call it an SUV, rather an HSV. What the hell is an HSV? High-Sided Vehicle. We’re not making this up. Anyway, our spy photographers managed to snap a Cullinan mule testing in bitter cold and snowy Sweden alongside its future platform mate, the next generation Phantom sedan. 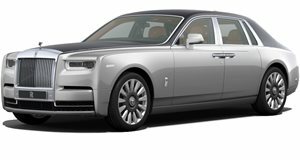 Aside from ride height and body differences, the Cullinan’s version of that platform is also shorter, but it’s still way too early to know exact dimensions. 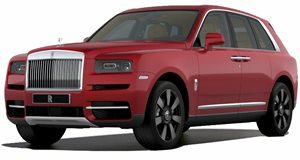 What we do know at this time is that Rolls-Royce has every intention of engineering the Cullinan for true off-roading capabilities, although it won’t be at the same level as, say, the Land Rover Defender. The Bentayga has proven itself to be quite capable off-road, and the Cullinan will need to at least meet or preferably beat what’ll likely be its main rival. Power is expected to come from a V12 engine and a plug-in hybrid version is expected at some point as well. 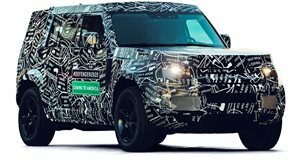 Visually speaking, the Cullinan prototype shown here is covered in pretty heavy camo, but you can clearly see its a Rolls-Royce due to its signature front grille. What’s also cool is that the final production version will receive the iconic luxury automaker’s signature coach doors. Power, performance, extreme luxury. Would you expect anything less from a Rolls-Royce? Our best guess is that the official reveal will happen exactly a year from now, just ahead of Geneva 2018.